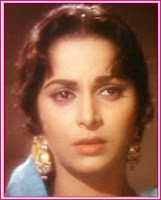 Bollywood actress of yesteryears Waheeda Rehman turns 77 years old on 14 May 2012. Waheeda Rehman was born in a traditional Muslim family in Hyderabad. During her times, Waheeda Rehman was one of the cute looking Bollywood actresses. Guru Dutt and Waheeda Rehman romance was once talk of the Bollywood. Waheeda Rehman is now far away from Bollywood films and she has her own world in Hyderabadb. Happy birthday Waheeda Rehman and many many returns of the day.